To the excitement of Lucky Larry’s Lobstermania fans from all over the globe, International Game Technology has managed to outdo itself yet again, this time with a dynamic new sequel: Lucky Larry’s Lobstermania 2! 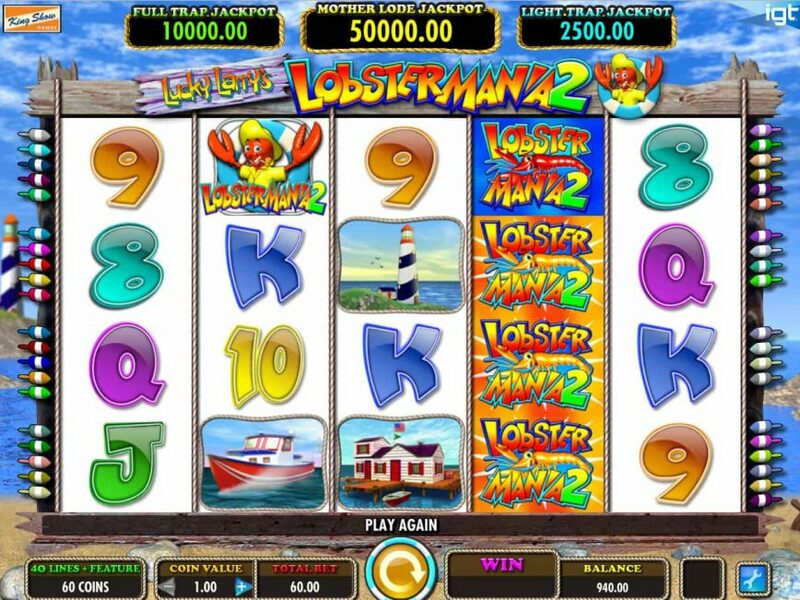 Lucky Larry’s Lobstermania 2 is a feature-packed online slot, where you can enjoy interactive bonus features including wild, scatter, multiplier, picker rounds and many others. The wild is the highest payer, and it can award you an 8,000-coin reward. But, that’s not all, the 500,000-coin Mother Lode Jackpot is there to grab for you. This crustaceous themed new game features the same cutting-edge graphics that Lobstermania enthusiasts have come to know and love, plus even more entertaining bonus features than the original game. Players who have never heard of Lucky Larry’s Lobstermania are in for a treat, though the name might seem a little confusing at first – is Larry a person who’s crazy about lobsters? Or maybe he’s a lobster that’s smart or fortunate enough to never get caught? But no, Lucky Larry is a fisherman – follow him on his determined quest to catch the elusive lobster! 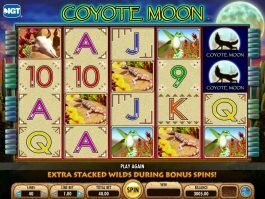 The 5-reel and 40-payline online slot machine come with an amazing theme and quality graphics. You can enjoy the view of a beach, sand, rock and lighthouse during the game. Let us explore what more it has for you. Lucky Larry is the main attraction, as everything in this game has been designed around him. Both the yellow and blue game logos are the wilds here, and they can also come as stacked. 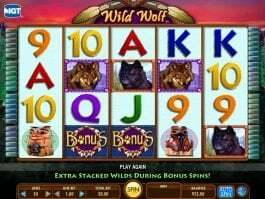 The online slot features a jackpot scatter icon that can also play the role of wild symbols. It can substitute for other icons to form new combinations if three or more of the icons appear in any position. If you spot three or more jackpot scatters on consecutive reels, you are the winner of a jackpot. 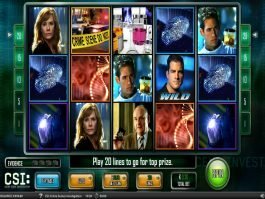 Three jackpot icons on consecutive reels trigger Light Trap Jackpot worth 2500 coins, four jackpot scatters trigger Full Trap Jackpot worth of 10,000, while five jackpot scatters award you the 50,000-coin Mother Lode Jackpot. 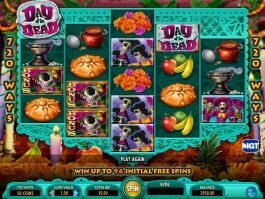 You cannot win jackpots during free spins bonus game. You can find a 5x multiplier symbol on the buoy, the lighthouse, the house and the boat. You can also spot a 3x multiplier icon on the buoy, the lighthouse and the house. If you manage to bring any of the icons attached with 5x or 3x multiplier in a winning combination, your win is multiplied by the value of the respective multiplier icon. Three lobster bonus icons on an active payline trigger the Bonus Picker feature. Once the feature is activated, you get two options, where you have to pick either Lucky Larry’s Buoy Bonus 2 or Lucky Lobster’s Free Spins Bonus. Before you move to the picked stage, the picker can award you prizes up to 95x your coin value. At the beginning of bonus round, you have to choose a location, and it can be Brazil, Australia or Maine. Select one location and win 2, 3 or 4 buoy picks. 2 to 4 lobsters are pulled for each pick, and each lobster can provide you prize worth 575x coin value or the Golden Lobster. If you spot the Golden Lobster, you trigger an additional bonus feature depending on your location in this online slot. This bonus game is activated if you pick the Golden Lobster in Australia. It can pay you up to 800x your coin value. The feature ends once the kangaroo with the golden lobster is caught. If you pick the Golden Lobster in Brazil, the Octopus bonus is initiated. Here, you can win 1000 times your coin value, and the feature ends when the Golden Lobster with the treasure chest is caught. The feature is activated if you pick the Golden Lobster in Maine. In this bonus game, you can win awards up to 625 times your coin value. The feature ends if an offer is accepted, if the lobster is caught or once the three offers are made. In Lucky Larry’s Lobstermania 2, free spins are common. But the bonus rounds also pile up one after the other. Sometimes you hit some extra free spins, and other times you get a Bonus Picker, where you can choose between Lucky Lobster’s Free Spins and Lucky Larry’s Buoy Bonus 2. With the Buoy Bonus, you get to visit different places. And you might even find the Golden Lobster, which leads you to octopuses in Brazil, kangaroos in Australia, or pelicans in Maine! Free spins feature can be retriggered, and you can win up to 240 spins from the bonus game. Lobstermania 2 also offers a diverse set of coin sizes: players can choose from denominations of 1, 2, 3, 5, and 10. That means that novices and veterans, conservative players and risk-loving players alike can all have a great time. 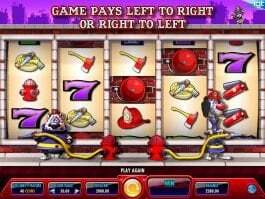 Lucky Larry’s Lobstermania 2 is a feature-packed lucrative online slot game. 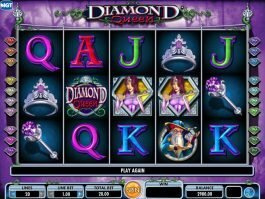 It has free spins, multiplier and many cash-rich icons on the reels. If you are not happy with the regular wins, go for the progressive jackpots. Try Lobstermania 2 free slots to experience these engaging bonus rounds and take a shot at that sky-high jackpot of 50,000 coins! Don't forget to stop by and learn how to win on slot machines before hitting Lucky Larry’s Lobstermania 2 in a online casino. There is nothing more to say than simple WOW! Larrys Lobstermania 2 is just a fascinating slot game, probably the best one I have ever played. Even though its bit older and the graphic is not perfect, give it a try.